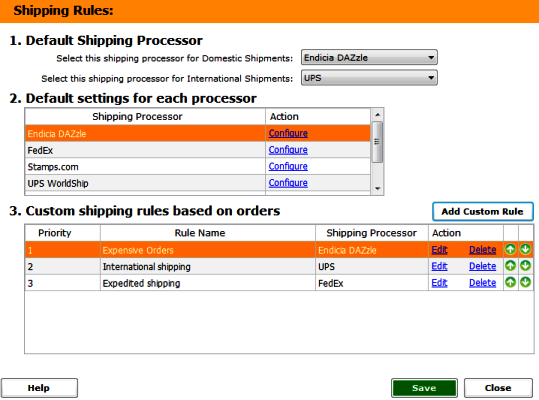 How do I create Shipping rules in Unify Desktop? 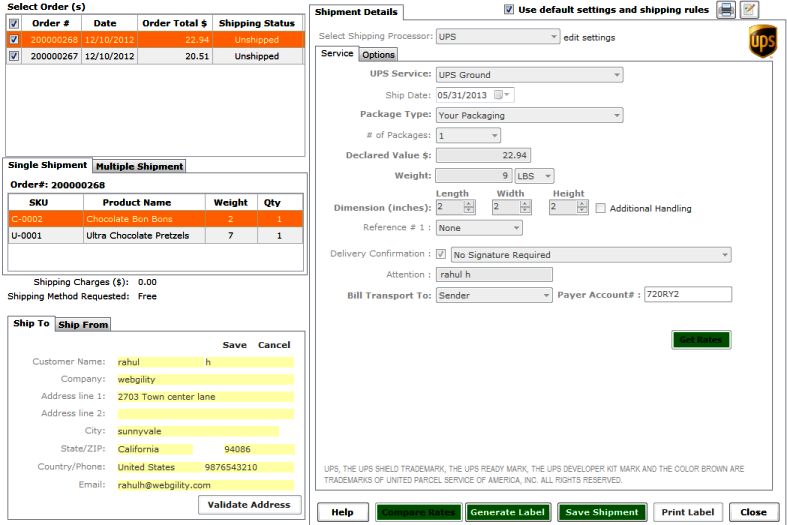 Choose a shipping processor that you have integrated with Unify Desktop. Settings will change depending on the shipping processor. Click Save to save the rule and it will appear in custom rules box. 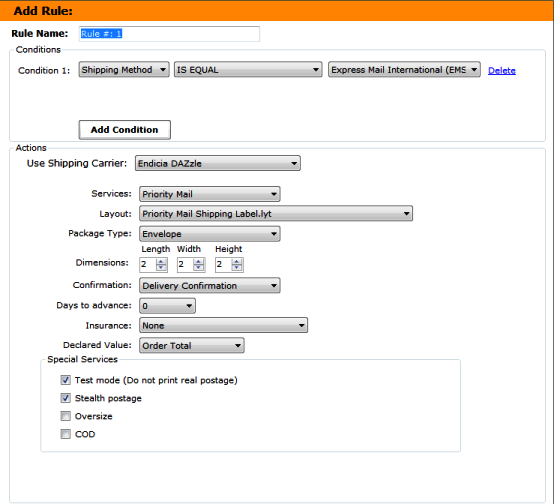 When orders fulfill the requirements to trigger a rule it will be activated within the shipping module. The shipping module is grayed out because there are no settings to make.